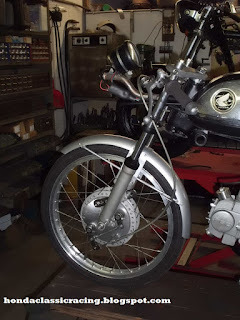 Working on the SS50 racebike again, as my CB50 was sold. 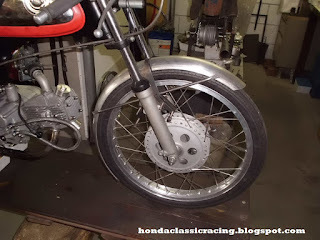 - it can function as a fork stabiliser, needed because of the single sided front brake. For the fork stabiliser bit, the supports are made out of steel and run over the top of the mudguard as one piece, not the prettiest, but I've seen this on original (race) bikes and it is very functional. 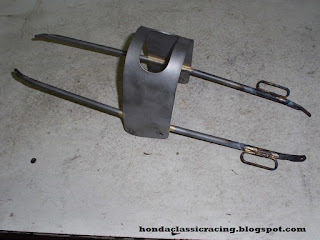 And I like things that look functional even if they are "ugly"
The start, a piece of steel bent and cut to fit between the forks and 2 pieces of tube with the ends flattened with a special tool to get those ends just like Honda used to make them. Clamped together for braising. Braised together and 2 cable loops added, just because, if this were original, Honda might have supplied a 4LS in the RSC kit and the mudguard would have been prepared for it. I will only be using one loop with my 2LS for now. Parts primed and screwed together in preparation for riveting. 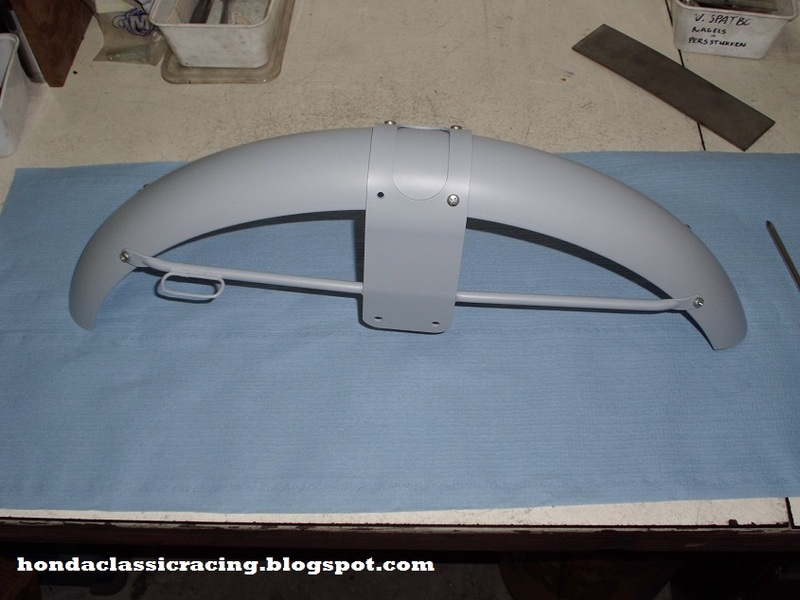 riveted and painted silver with a little bit of clear just for a little shine, to imitate that original look and not to go overboard on the clearcoat as so many replicas these days.